I'll confess. 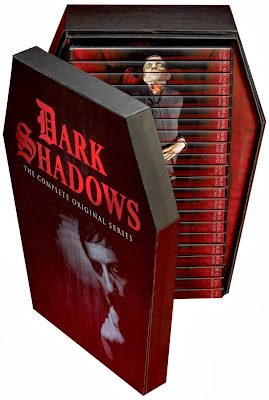 I have not seen Dark Shadows: The Complete Original Series but I was totally amazed this morning when I saw the Amazon customer reviews for this boxed set. A whopping 90 percent of the reviewers gave this vintage daytime 1960s television program five stars. That really is amazing and definitely is enough to make me want to watch it. It is impossible for me to share the depth of the reviews those customers left on Amazon and I encourage you to check them out for yourself by clicking right here. With comments like, "There is just something about this series that makes me want to see it again and again. Maybe because it mentally transports me back to a time when I was a kid at home after school, before my parents were deceased, when all seemed right in the world and the scariest thing about life was Barnabas and Angelique in Dark Shadows." They are thrilled with the programming. They are also thrilled with the packaging. Those who have a history with Dark Shadows love it. Those who don't? Well, they seem to love it, too. The set is massive, containing 1225 30-minute episodes that aired on ABC between 1966 and 1971. Because of the incredible size of this series, it does not come cheaply but Amazon customers don't bemoan the cost. Especially those who purchased the programs individually on DVD and know how much that cost! What a truly magnificent gift item this would be! 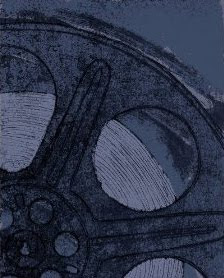 Read more about Dark Shadows: The Complete Original Series on Amazon. Discover a great Halloween blu-ray movie starter set. Uncover a page full of blu-ray movie boxed sets.